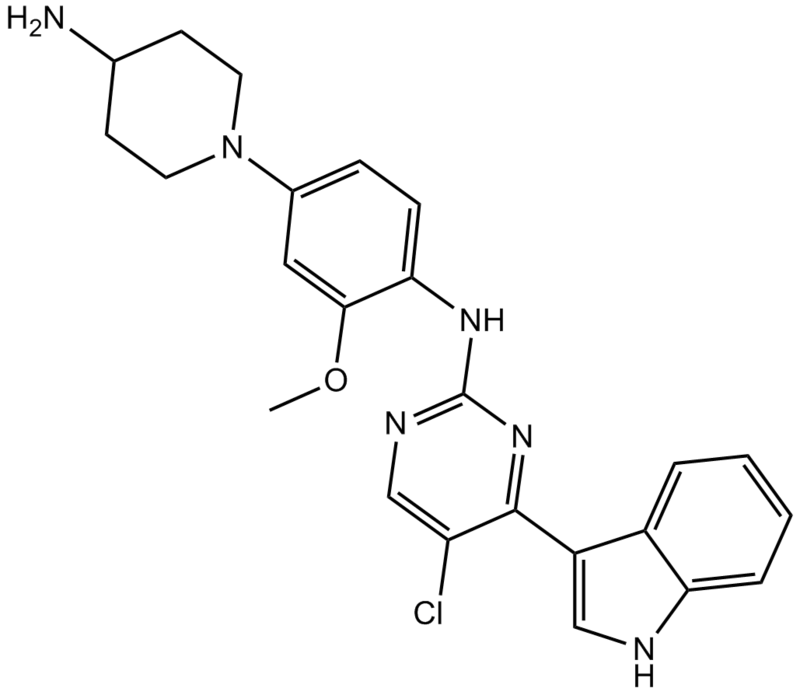 Description AZD3463 is a novel orally bioavailable inhibitor of ALK with a Ki value of 0.75 nM. 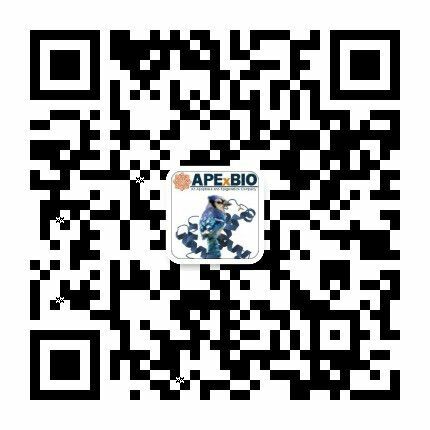 Wang Y, Wang L, Guan S, Cao W, Wang H, Chen Z, et al. 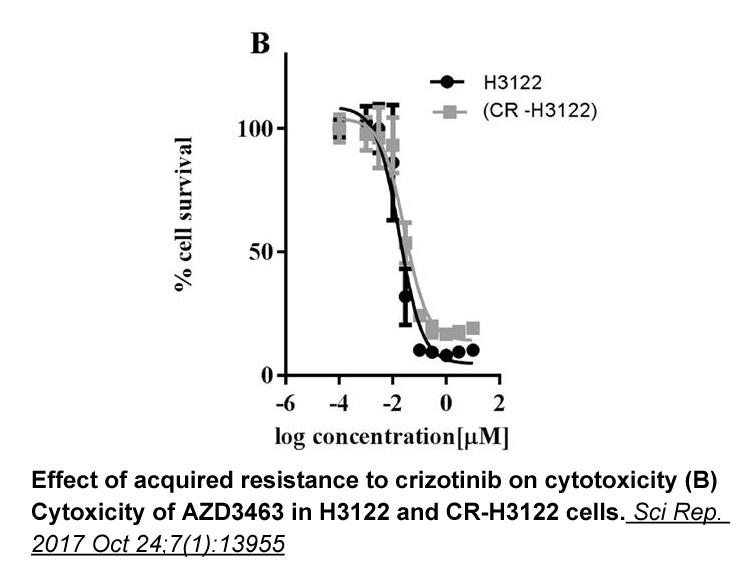 Novel ALK inhibitor AZD3463 inhibits neuroblastoma growth by overcoming crizotinib resistance and inducing apoptosis. Sci Rep. 2016;6:19423. 1. Wang Y, Wang L, Guan S, Cao W, Wang H, Chen Z, et al. 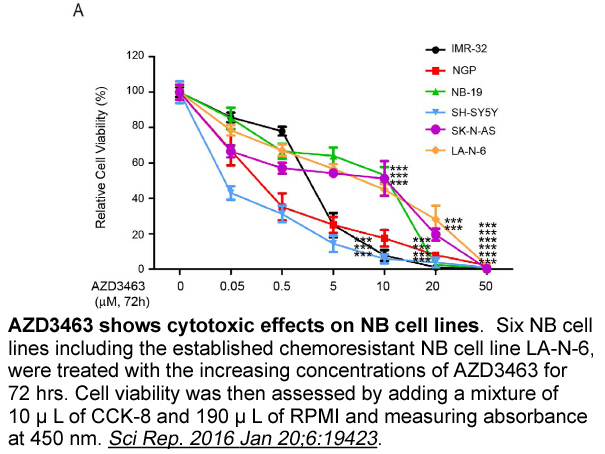 Novel ALK inhibitor AZD3463 inhibits neuroblastoma growth by overcoming crizotinib resistance and inducing apoptosis. 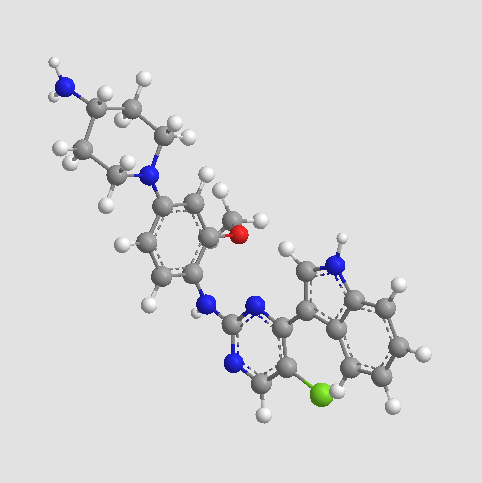 Sci Rep. 2016;6:19423. 2. Sampson VB, Vetter NS, Kamara DF, Collier AB, Gresh RC, Kolb EA. 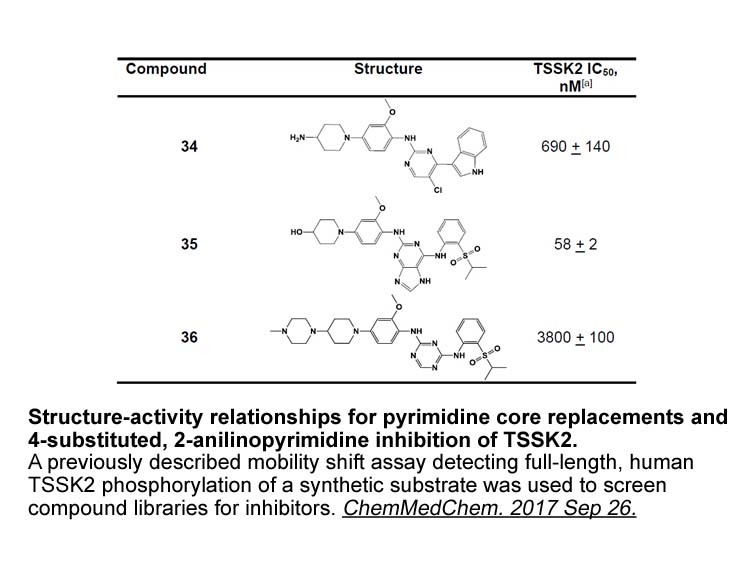 Vorinostat Enhances Cytotoxicity of SN-38 and Temozolomide in Ewing Sarcoma Cells and Activates STAT3/AKT/MAPK Pathways. PLoS One. 2015;10(11):e0142704.